Five years in construction, the new Royal Adelaide Hospital was designed by STHDI, and managed by HYLCJV. As part of its specification and tendering process the hospital required the fabrication and supply of 858 tambour door storage units and 713 custom-designed hamper units for the hospital’s administration offices. 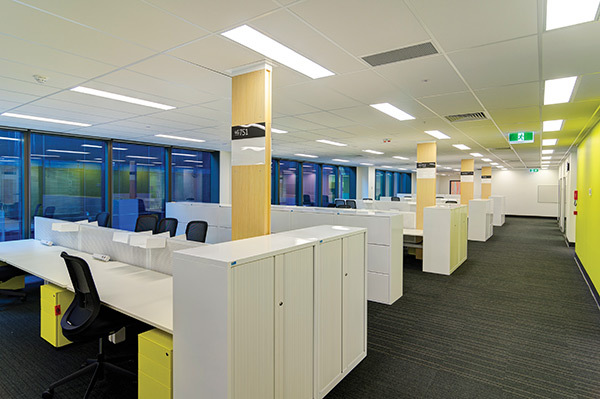 Key specifications for the cabinets included the ability to withstand the rigours of the hospital environment and function with the existing filing system. Additionally, the storage units needed to be manufactured in Australia to enable quick lead-times for future additional orders and customisation, and to support the local economy. The Centurion is an aluminium tambour door cabinet with three locking points for optimal security. 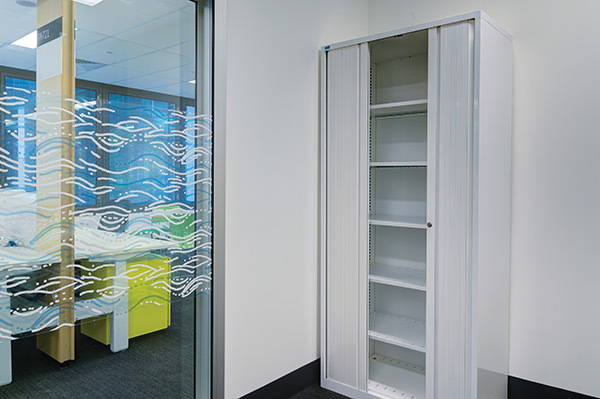 Bosco’s storage solutions are renowned for their build quality and security and the 1mm aluminium slats and abloy lock system doesn’t disappoint. The full-height 1980mm unit accommodates seven levels of lateral filming including a rollout reference shelf. The powdercoat finish ships in standard or custom colours, and a range of accessories are available including lockable castors and more. 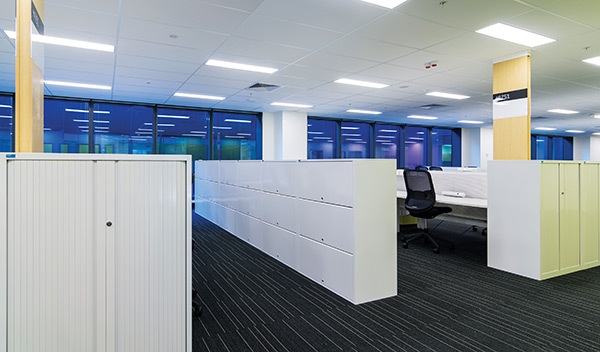 Bosco manufactured a total of 1571 steel storage cabinets for collection, interstate delivery and installation by Zenith throughout the massive RAH complex. Laid end-to-end, the cabinets cover extend to more than 1.4km and were produced at a rate of 100-120 units per week over a period of 14 weeks. The Bosco Centurion tambour door cabinets were produced in 1980mm and 1260mm heights, and the Centurion cabinets at 1260mm high. The cabinets all carry a 10-year warranty and Good Environmental Choice Australia (GECA) endorsement, and are constructed in robust steel. The tambour door cabinets offer adjustable shelving and secure 1mm left-to-right opening aluminium doors with a three-point lock mechanism for increased security, full flush length handle design and adjustable levelling feet. The Centurion units feature three individually lockable doors, two slotted shelves, three storage levels, two dividers per shelf. “I was very impressed with the consistent quality of the product, and the ability to meet the schedule we set up in the early stages. Wilson & Gilkes produced what they said they’d produce, when they said they’d produce it, so we could get it on the site in a timely manner,” says Rob Whittaker.